Natural outdoor lighting is the rage in backyard renovation, offering an easy and environmentally friendly way to shed new light on your favorite summer spaces. 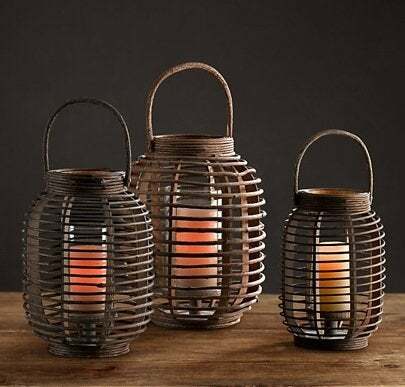 Whether you’re shopping for luminaries, tiki torches, lanterns, or table lighting, we’ve gathered a list of the best deals you can find this weekend at your local retailers. No matter your budget or taste, you’re bound to find a light source your backyard can’t go without! Restoration Hardware: Get RH chic at sale prices! Available in six different lines and a variety of sizes starting from just $17, these substantial and unique hanging, tabletop, and floor lanterns are now on sale in stores and online. 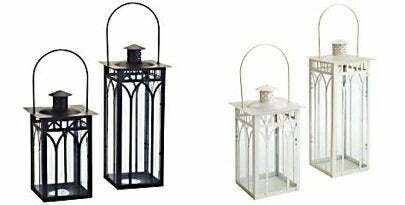 Home Depot: With their half-off sale on outdoor décor, The Home Depot is an obvious choice for affordable natural lighting fixtures. For as low as $11.99, find brass torches, lanterns, and tabletop lighting to perfect your outdoor living space. 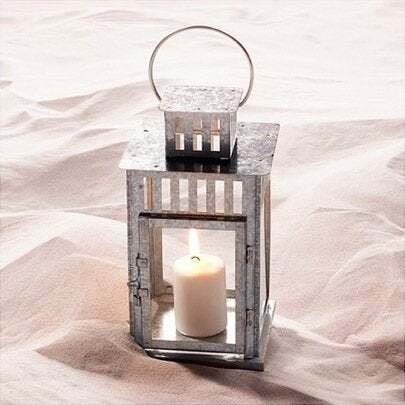 Pier 1 Imports: Starting from just $8.00, Pier 1 has a multitude of hanging and tabletop lanterns, as well as citronella torches, now on clearance. The colored glass and rustic aesthetic might be the vibrant touch your deck or patio area has been waiting for. West Elm: For $5.99 and up, West Elm retails affordable and charming backyard lighting fixtures, finished in materials from perforated bronze to hand-blown colored glass. The discounted selection of small to large hanging and tabletop lanterns can’t be beat. Ikea: From $3.99, always-affordable Ikea offers tabletop lanterns for tea lights and larger candles. Williams-Sonoma: For larger, more substantial natural lighting, look to Williams-Sonoma. With lanterns on sale from just $59, you can make a bold lighting statement for a price that won’t raise your eyebrows.